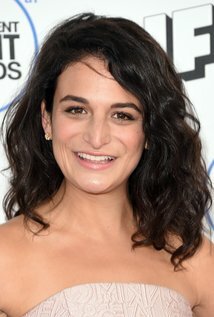 Variety is reporting Jenny Slate is in talks to join the cast of the coming Venom film. She is allegedly going to play a scientist in the film. She joins previously announced cast members Tom Hardy, Michelle Williams and Riz Ahmed. Slate’s many credits include Gifted, Aardvark, The Polka King, Obvious Child and Amazon’s Landline. She just wrapped production on Drew Pearce’s Hotel Artemis and lent her voice to Secret Life of Pets 2. The film is being directed by Ruben Fleischer with script by Scott Rosenberg, Jeff Pinkner and Kelly Marcel. Avi Arad and Matt Tolmach are producing the film with Amy Pascal. Palak Patel and Eric Fineman are overseeing the project for Columbia Pictures. Although Spider-Man will not appear in the film, Venom may possibly appear in other Spider-Man related films. Venom will hit theaters nationwide on October 5, 2018.